I have wanted to start doing a little bit about beauty products for some time, but for some reason i just hadn’t gotten around to doing it.. Photographing product (or anything actually, hubby is my resident photographer thankfully!) isn’t really my forte, and Salvatore (thats the mister) is a busy little worker bee lately so the odd outfit photo is pretty much as much as i can get from him of late. Now, as we all might know i am quite the frugal shopper. I shop a lot but i tend to air on the cheaper side of shopping when it comes to clothes, even my makeup bag is over-flowing with high-street cosmetics (which i also do love..more on that soon). But you know when you just want to be indulgent and treat yourself? Well that’s where i stood. I was in the market for an excellent foundation. Not an ok, or make-do foundation, but a fabulous one that would feel like a second skin. I had heard amazing things about theCHANEL VITALUMIÈRE AQUA so thought i’d hit up the Chanel counter to see what they had to advise. When i was there, i was treated like a princess, the whole experience was just wonderful. they treated me to a full face makeover, listened to my requests and recommended what might work for me, all the while treating me to wonderful little tid-bits of information from make-up to Coco Chanel herself! When it comes to foundation, everyone is different. I have very oily skin and find my foundation can be gone by mid day if it isn’t primed, i can often look shiny (Oil slick anyone? Very pleasant i know.) and because of this i tend to opt for a matte finish. The dewy glowy foundations look great on other people, but me? Well they just make me look extra shiny, so for me it had to be matte. So the Chanel Vitalumiere Aqua was not the right one for me. 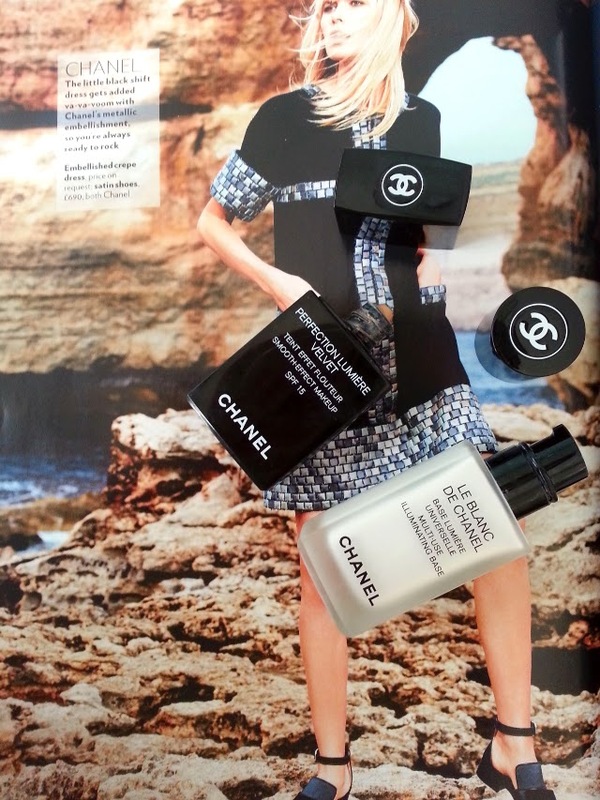 With the advice of the make-up artist we went for CHANEL PERFECTION LUMIÈRE VELVET. Ladies, let me be honest with you here… It feels absolutely beautiful. It does exactly what it says on the box, it feels like velvet. When i walked out that day i literally had to slap my own hand away from touching my face constantly, there is no other words for it other than beautifully velvet. I have tried A LOT of foundations over the years, and this one by far feels the nicest. The colour chosen for me (20 beige) is also perfect, making it appear flawless. I have quite red undertones and freckles so i have a very uneven skin tone, this perfects my tone and evens out the colouring very well. Application wise, it glides on and blends in very very easily. I use a foundation brush and apply a small amount which actually goes a long way. At £33 it isn’t cheap (or what i would class as cheap.. my usual foundation budget is £12-£15) but i would say it value for money as a little goes a long way. Yes, yes i will. The colour, the feel, the application are all perfect and with a little touch up from my powder compact(below) i have found it to be the nicest foundation i have ever worn. 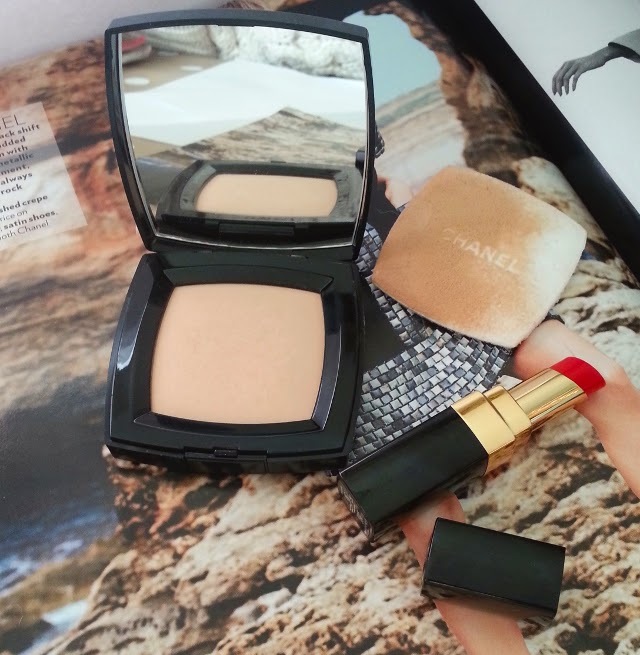 Whilst there i also purchased the CHANEL LE BLANC DE CHANEL Multi-Use Illuminating Base. CHANEL POUDRE UNIVERSELLE COMPACTE Pressed Powder. This is to go hand in hand with the foundation and to carry around in my handbag as a touch up. I wouldn’t say there is any absolutely outstanding qualities with the pressed powder, but the colour is natural and the feel is light weight not cakey like some powders can be. Just for the chic lady in me though, it is lovely to pull out the Chanel compact and touch up. Coco Chanel really was the epitome of chic and the packaging and products all reflect that. 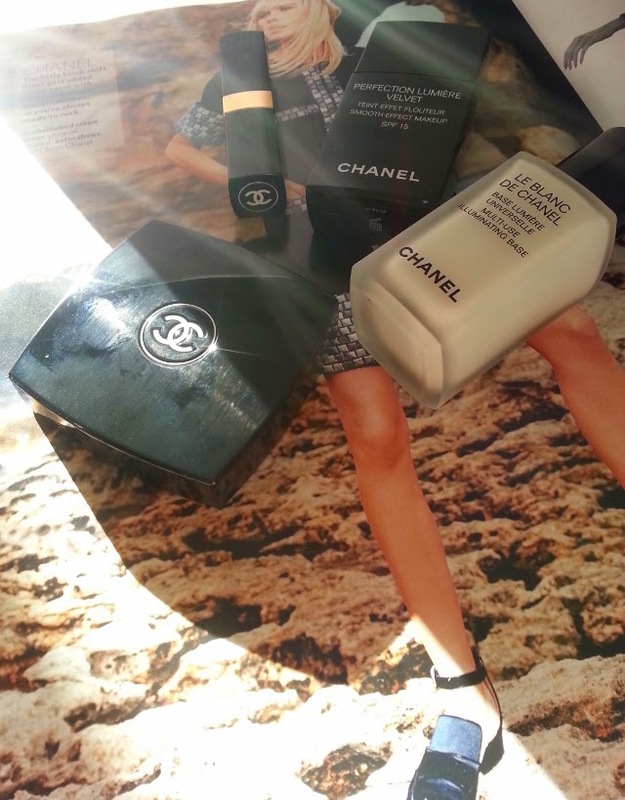 Whilst i was purchasing the powder I also through in to my virtual cart the CHANEL ROUGE COCO SHINE Hydrating Sheer Lipshine (in shade 63 Rebel). Buying make-up online can be difficult, more so if you’ve never bought that particular product before. 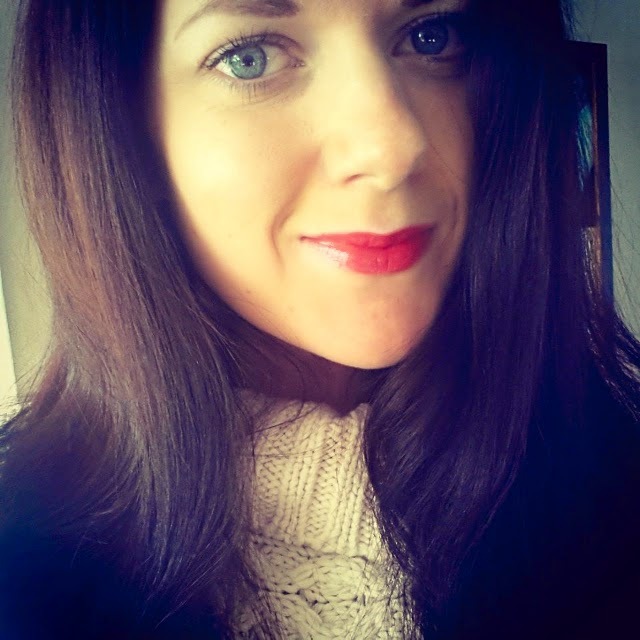 This lipstick is lovely, its a high shine subtle red (as opposed to the normal bright red i go for) It’s perfect day wear, and build-able to a more obvious red. The only flaw is that it doesn’t last long. Often, for me, hi-shine formulas don’t stay put for very long. This needs topping up a lot. When its on it is a very natural colour, so if you are looking to venture in to reds this could be a great starting point. Next time i think i may try CHANEL ROUGE ALLURE Luminous Intense Lip Colour as these seem more vibrant and have very good staying power reviews. Also on my hit list isthis pretty blush again as a handbag top-up.. it just looks beautiful! Wearing just the base, powder and the lipstick with one coat. So there we have it girls, Chanel.. i’m a total fan! Do you own any Chanel make-up? If not would you ever take the plunge and purchase? I always pay a bit more for foundation because I have quite problem skin and Chanel give good coverage (so I find) so I use the Perfection Lumiere and have done for a few years now. 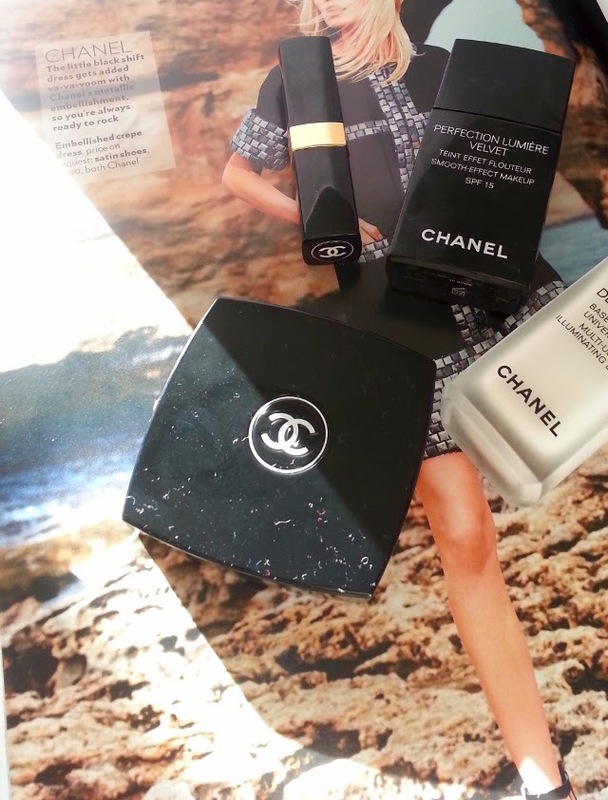 I'd definitely like some more chanel products, that lippy looks lush! I am such a sucker for Chanel lipsticks – they're my guilty pleasure! No Chanel for me just yet, but someday! After having never strayed past Boots for foundation I'm going to go on a debenhams trip to try to find something a bit higher end…might have to try this one! I use their powder and vitalumiere (others were too dark on me), which are great. That and lipstick. Part of the sticking problem might be the lumiere blanc base. I find it doesn't prime well on my oily skin and makes everything slide off, – I just wear it in summer to even tone or mix with the foundation to get a lighter base and use another primer. Likewise the shine lipsticks don't stay on me, but the colour intense stain my lips until I remove my makeup.